With micro perforations that provide a smoother look and ideal sound absorption, these panels offer upscale appearance at a mid-range price. 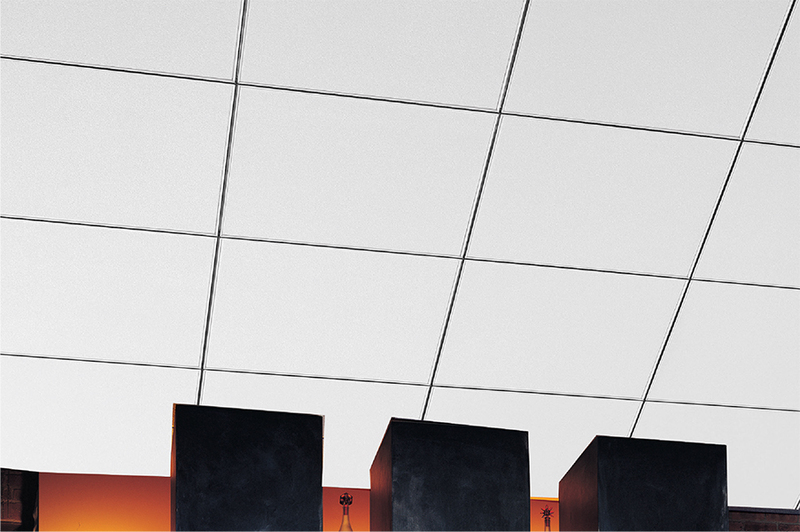 Olympus Max ClimaPlus™ acoustical ceiling panels offer high level light reflectance, mould and mildew resistance, ceiling attenuation and high level noise absorption (NRC .70), making them a perfect choice for classrooms, hotels, reception, lobby areas, conference areas and general office spaces, restaurants and retail stores. Olympus Max ClimaPlus acoustical ceiling panels are made with a water-felted manufacturing process that provides good ceiling attenuation class (CAC) performance.